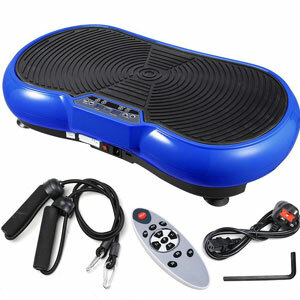 Does The ReaseJoy 500W Vibration Plate Really Have Everything That New Users Require? The ReaseJoy 500W Vibration Plate is one of those vibration plates that seems to have everything that users will need in one package. This brightly-coloured device comes with a remote control to adjust the 99 different speed levels on the 500w wobble machine. There are also 2 resistance bands to increase the potential of the workout. The result is a diverse option that is also designed to be small enough for home use, and tough enough for great results. Does this vibroplate deliver in the way that users hope? When benefits have buyers mentioned in their reviews for this ReaseJoy Vibration Machine? The most important selling point from the feedback for this device is the idea that it is a great starting point for new users. This is clear in terms of the gentle motion, range of settings and the accommodating weight allowance of 150 kg. 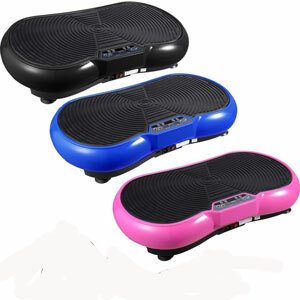 Many find they can climb aboard, set up the workout or motion the need with the remote control and enjoy the benefits. Many will start on a low setting, which some mention is more like a massage, and then work up to the tougher settings. This then leads to some great reports about improved tone and weight loss. The aim here is that this model engages 95% of muscles for increased fat burning, muscle toning and improvements to pain, circulation, flexibility and more. These results do vary, but it all depends on the intensity and frequency of the workouts, as well as personal medical conditions. Are there any clear problems with this ReaseJoy Crazy Fit Massage Exercise Machine that users need to be aware of? The biggest issue with this whole body vibration machine is that it feels a little cheap in its construction. The power and motion of the vibroplate is great, but the finishing touches of the rubber surface and labels aren’t. There are air bubbles and parts peeling away on some examples. Some also note that the cable feels a little loose and they worry that this could be a safety problem. The other quality control issue here is the printing of the instructions. It feels like a cheap afterthought – as do the instructions themselves. Many would prefer to see a more detailed manual about the options and workouts to improve the potential of the system. Summary: is the ReaseJoy 500W 99 Speed Vibration Plate still recommendable with all of this in mind? There is no doubt that the wobble machine is a great option for all those willing to put in the hard work. There is no doubt that a little more care with the construction and design would improve the product greatly. However, the performance, workout options and ease of use are still there. Many are willing to overlook the smaller issue for the benefits gained, which is why this ReaseJoy vibration plate is recommendable. Find more reviews about the ReaseJoy 500W Vibration Plate on Amazon here.